A cyclist has died following a collision with a cement mixer on the A361. A 74-year-old cyclist who was seriously injured in a road traffic collision in Northamptonshire last week has died in hospital. 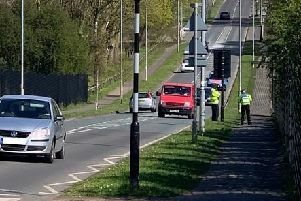 The man was riding a bike along the A361 at the Aston-Le-Walls crossroads at 10.30am on Tuesday, June 30, when he was involved in a collision with a white DAF mixer lorry. He was taken by air ambulance to University Hospital Coventry with serious injuries. However Northamptonshire Police has confirmed the man died as a result of his injuries last night. Police would like to speak to anyone who may have witnessed the incident or who may have any information regarding it. Witnesses or anyone with information is asked to call the Drivewatch Hotline on 0800 174615.